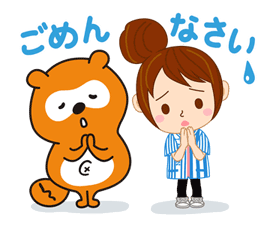 http://www.line-stickers.com/ – Ponta Line Sticker | Over 50 million members! 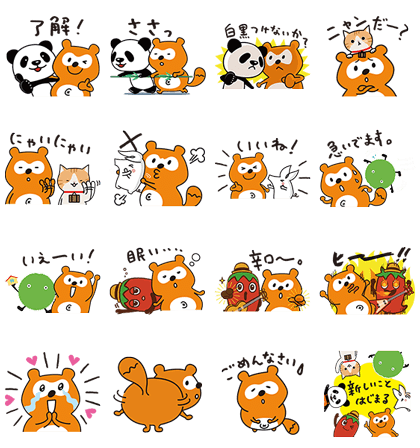 Yes that Ponta is now on LINE! In second set of stickers contains a rare collaboration that you can’t miss! Become friends with the Lawson official account and get them free. 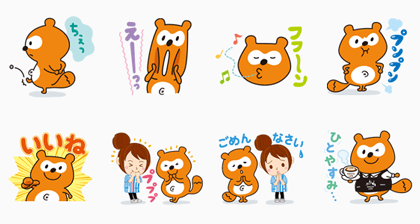 Recruit characters stop, collaborate and listen with Ponta in this fresh set of LINE stickers! All 16 of these hot stickers are free for you! Available till June 4, 2015.